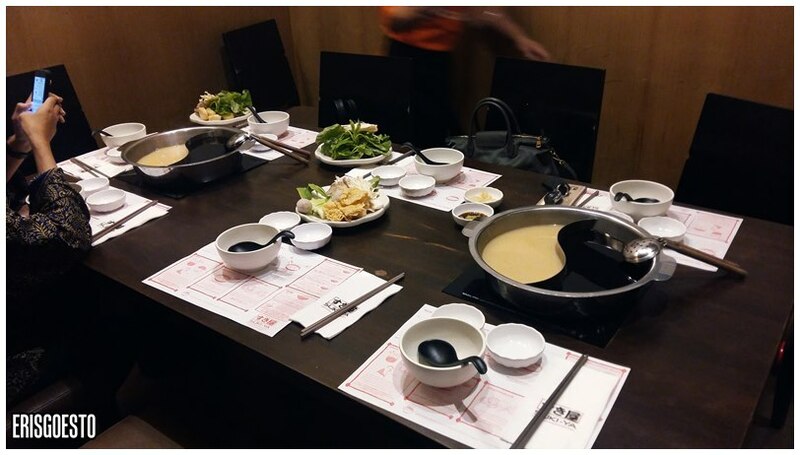 The team recently had a farewell lunch for our designer at Suki-Ya, Paradigm Mall, which is a cheap, all you can eat Japanese steamboat (shabu-shabu) buffet in PJ under RM40. 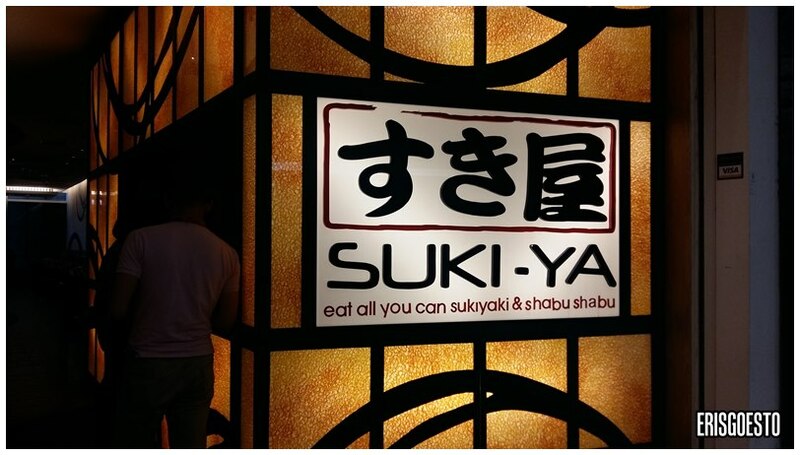 If you’re wondering if they’re related to that other buffet steamboat chain, Sukishi, then you’d be right – the difference is that the latter has pork and Suki-Ya doesn’t. While the resto itself doesn’t have halal status, the meat is halal certified. Everything else served is exactly the same, down to their ice-cream. Our group of 11 was reduced to 7 coz everyone suddenly fell sick that day lol. We had a little room to ourselves with two large cooking pots. 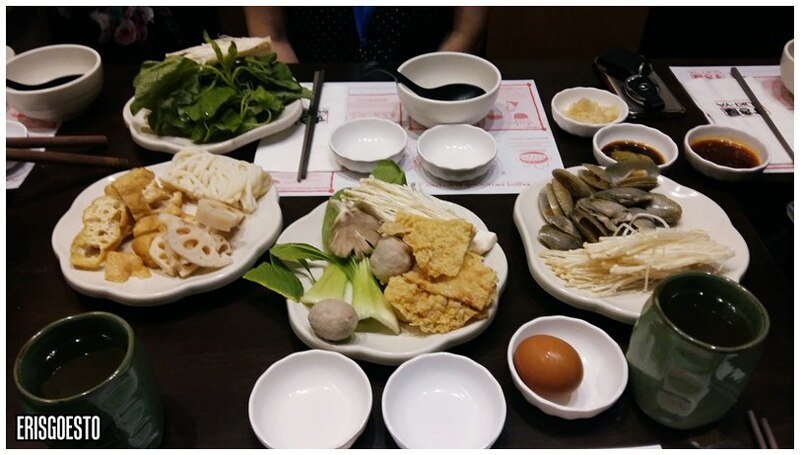 There were four types of soup bases to choose from, namely Sukiyaki, Shabu-Shabu, Kimuchi (spicy) and Miso. 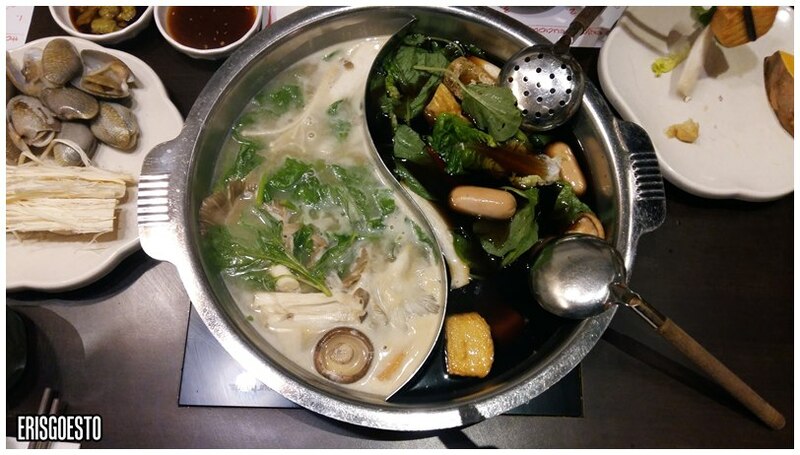 We opted for Shabu-Shabu and Sukiyaki so we’d have a clear, sweet broth. 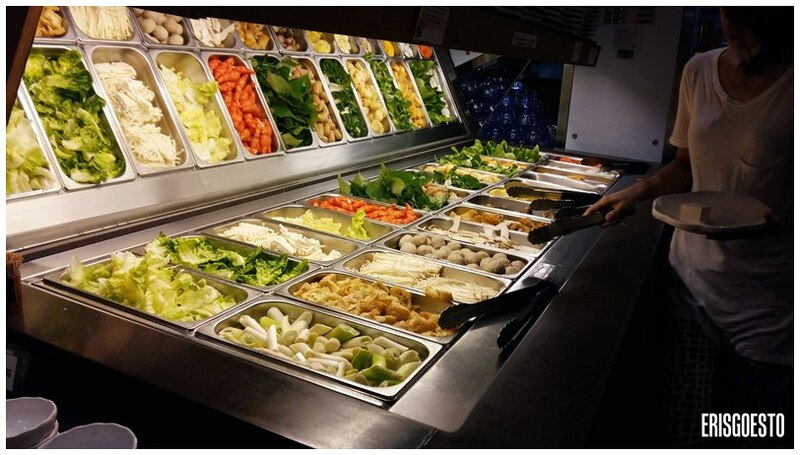 For the price point, there was a decent selection, which included lots of veggies to flavour the soup – daikon, lotus root, pumpkin, sweet corn, turnip, mushrooms, etc. 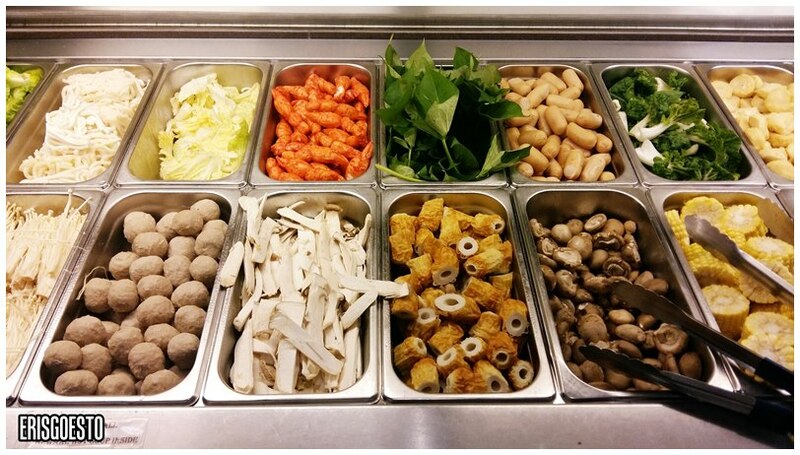 Also the regular frozen items like beef balls, fishballs, cheese-stuffed tofu, cocktail sausages. Our shared items. Art director and I loved the fried foochok and couldn’t get enough of those! I like them crispy so I just dipped it a little in soup so they retained that crackly texture. 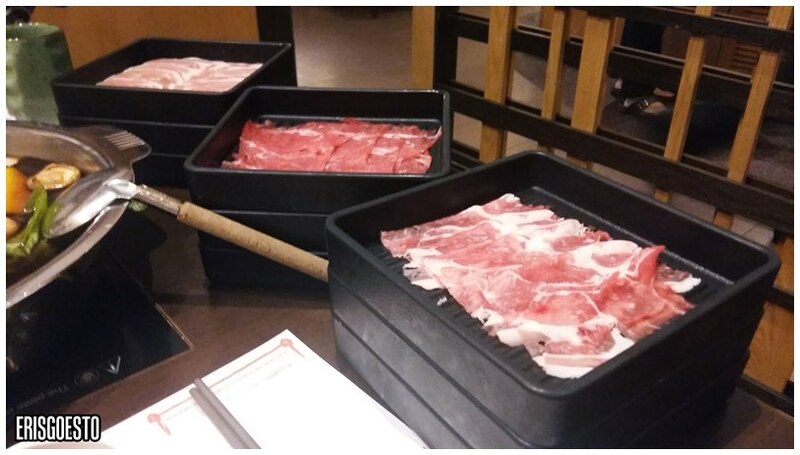 The best thing about the buffet was their free-flow meat, with chicken, beef and lamb, all sliced very thinly for easy cooking. The meat was fresh and tasty, especially the beef and chicken. Lamb was a bit too gamey and chewy for my liking. For a touch of silkiness, whip a raw egg and use it as a dipping sauce for the meat once you have it piping hot out of the cooking pot – only those who have a stomach for raw things though! They also have a limited selection of basic sushi items like tuna, tamago and salmon.For dessert, you get to press your own ice-cream from a machine and add on chocolate sprinkles, nata de coco and cereal. Only green tea is included with the meal, anything else and you have to top up. Not much difference from my experience at Sukishi, only minus the pork. 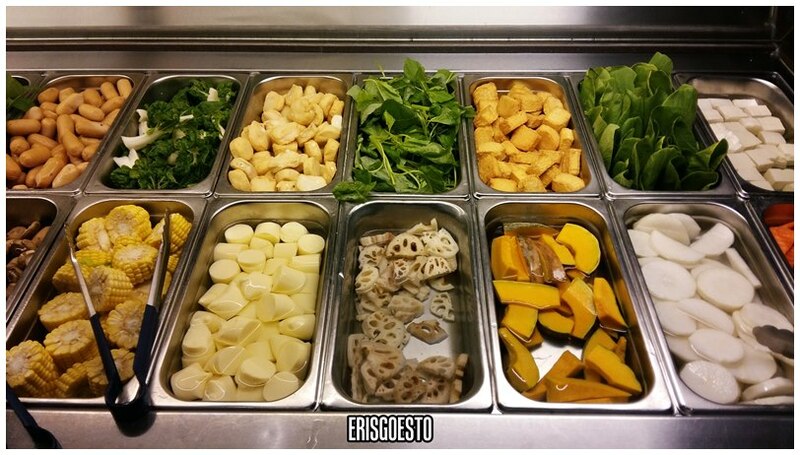 Ingredients are fairly fresh and its cheaper alternative to satisfy your buffet shabu-shabu cravings.